Hi! 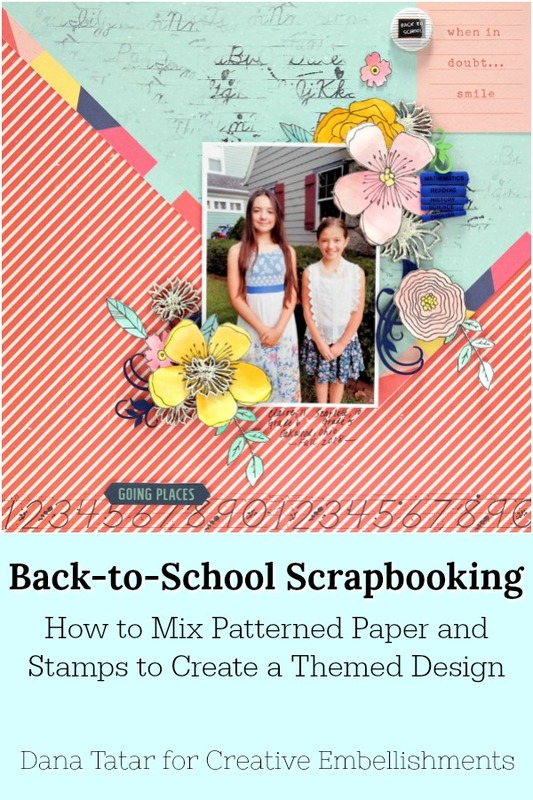 I'm sharing a back-to-school scrapbook layout I created with a fun variety of supplies from Creative Embellishments today. I love to mix prints for my projects. Florals and stripes are one of my favorite combinations, but they don't necessarily remind me of a back-to-school theme that I was looking for on this page. 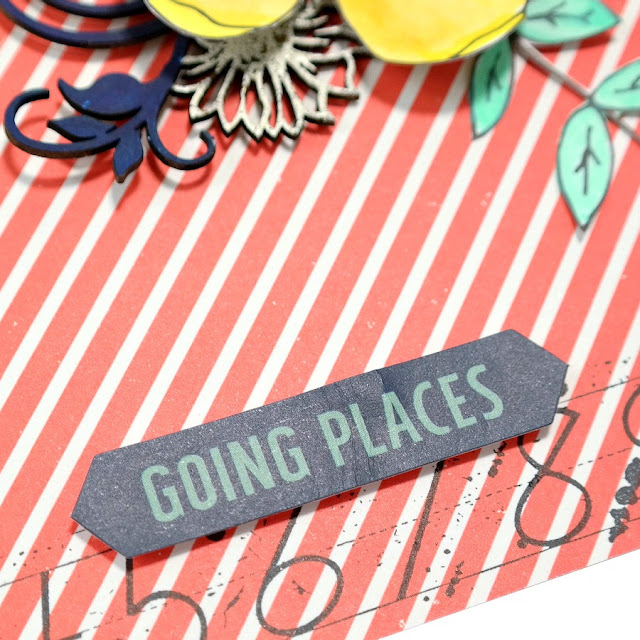 I was able to embellish my patterned papers with stamps and flair to make my generic patterned paper more on-topic. 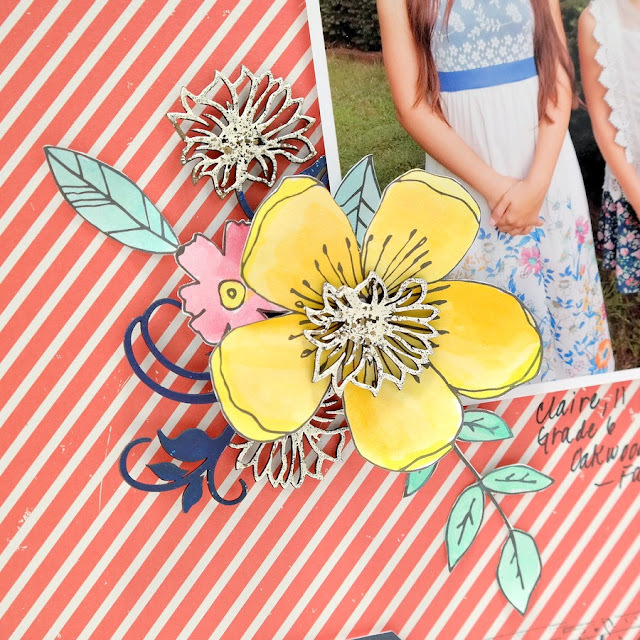 I chose a piece of floral chipboard that was similar to the flowers on my daughters' clothes to help fill in the flower clusters. I used the Alphabet Cursive Stamp with black ink to add lines of letters to the background of the top portion of the page. I only applied ink to the stamp one time, so certain areas of the stamped design are darker than others. I did not use a stamp block for this step. Instead, I stamped randomly around the open area using small portions of the stamp. I cut flowers from a black and white piece of floral print patterned paper to embellish the space around my photo. I used watercolor paint to add color to the petals and leaves in shades that matched my daughters' clothes. The Sunflower Border chipboard has beautiful blooms and leaf flourishes that are similar in design to the fabric in the photo. I cut the border into several pieces and layered them both above and below the paper flowers and leaves, adding dimension to the flower clusters. I painted the leaf flourish portions of the Sunflower Border with navy or green acrylic paint. I heat set ivory embossing powder onto the sunflowers. This piece of School Flair is just one of six buttons in the set. Flair is one of my favorite embellishments to add to any project. The buttons are 1-inch in diameter, so they are small enough to fit almost anywhere. I decided to use a die-cut for the title of this layout. I dressed up the bottom edge of the page with the Number Border Stamp. The stamp is 6-inches long, so the stamped image fit twice across the layout. Thanks for stopping by today! 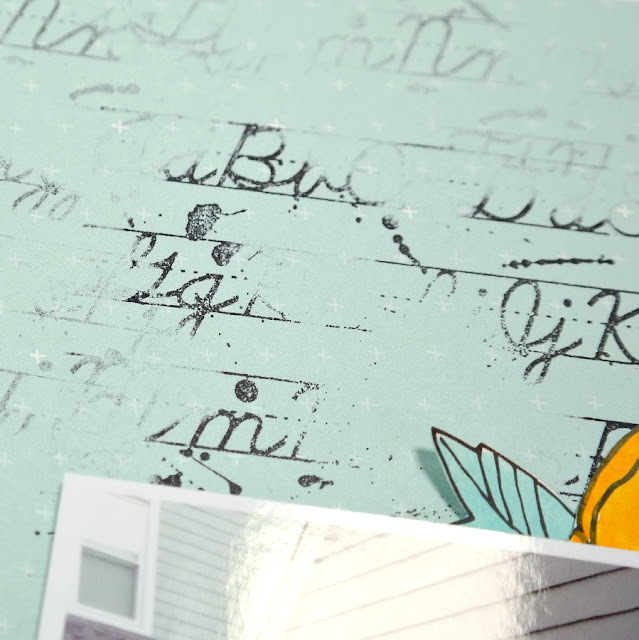 I hope I have inspired you to use stamps and flair on your scrapbook pages. 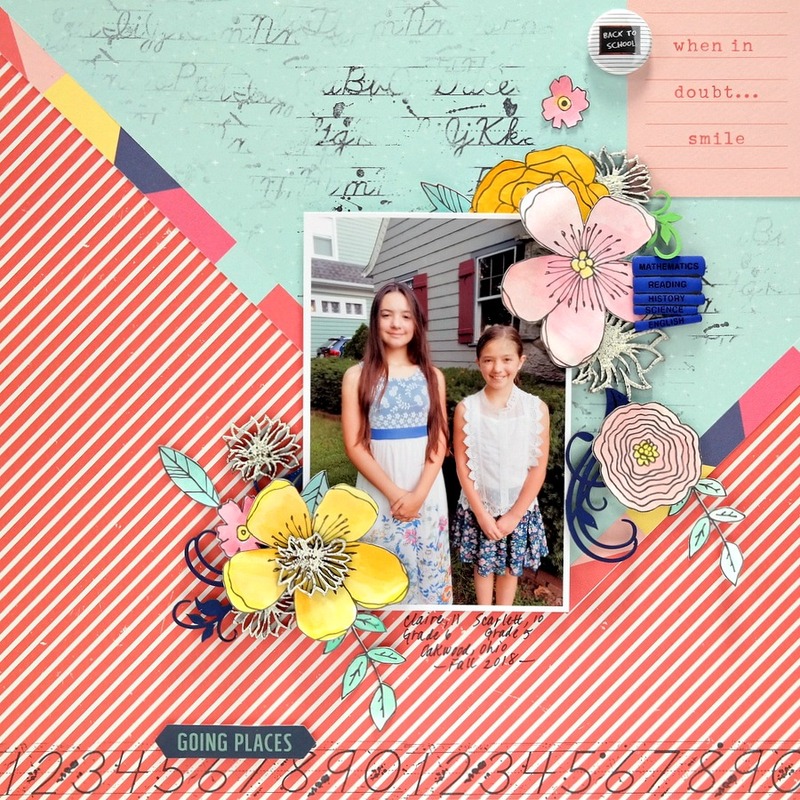 If you have a back-to-school layout featuring your loved ones, I'd love to see it! Please share your work with us in the Creative Embellishments Facebook Fan Page, or enter one of our Monthly Challenges. Loveeeeeee this! LOVING the flowers and the subtle letters and numbers!!!!! !